Public Sector Organization North Waziristan Jobs Fata and Khyber Pakhtunkhwa.Funded project in Tribal District North Waziristan. 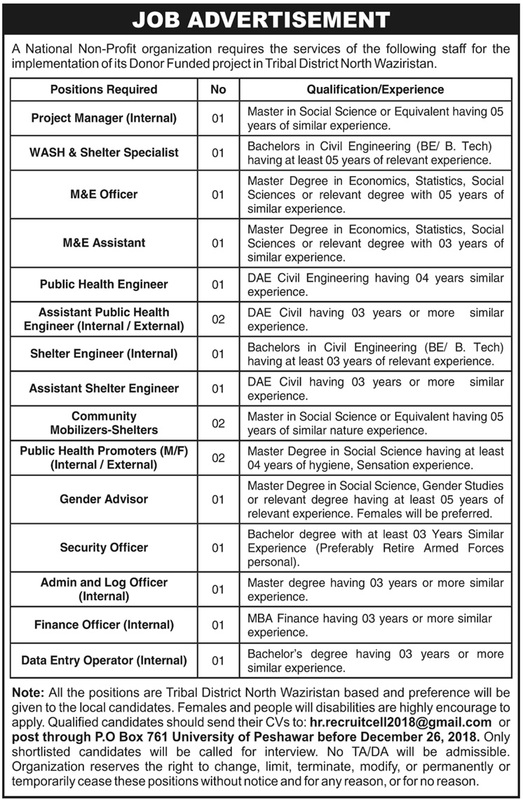 How to Apply For Public Sector Organization North Waziristan Jobs? 1) Qualified candidates should send their CVs to [email protected] or post through P.O Box 761 the University of Peshawar before December 26, 2018. 2) Only shortlisted candidates will be called for interview. 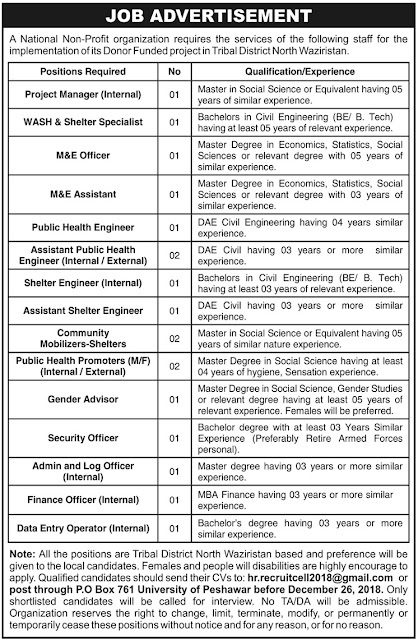 December 26, 2018 is last date in Public Sector Organization North Waziristan Jobs 2018-19.